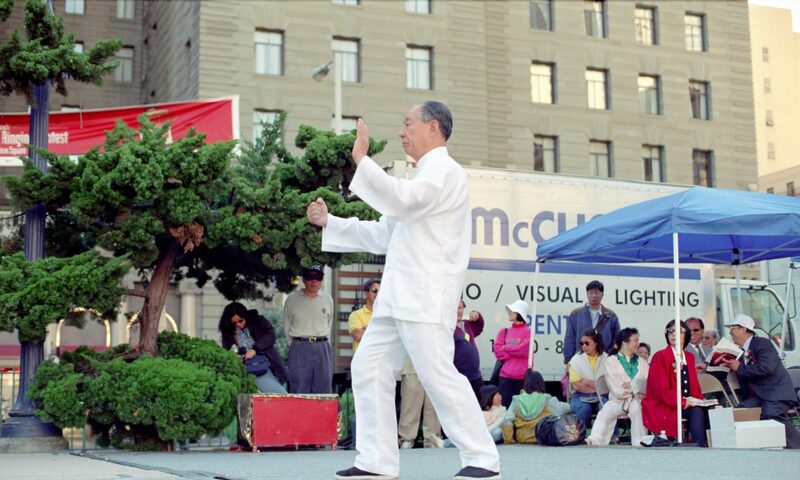 Master Liu demonstrating fa jin. 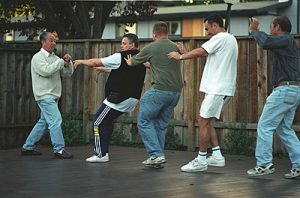 Fa Jinmeans issuing or dispatching (fa) of strength or energy (jin) in Chinese and is part of the (advanced) practice of tai chi. 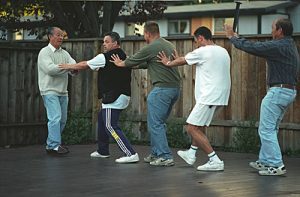 The people in the pictures include Ugur Osman and Andy Harris from Wu (Hao) Tai Chi Association UK. produce powerful force. As such, it requires a lot of techniques and responsiveness be able to control so many things so fast, and timing has to be very precise. Jin is an essential element of most internal martial arts. Note that most internal martial arts focus on the training of tendons, as opposed to muscles. Even though tendons might be considered just a special form of muscles by medical professionals, they’re vastly different from muscles when it comes to internal martial arts trainings. Many high-level martial artists don’t appear to be very muscular due to their focus on tendons’ trainings.